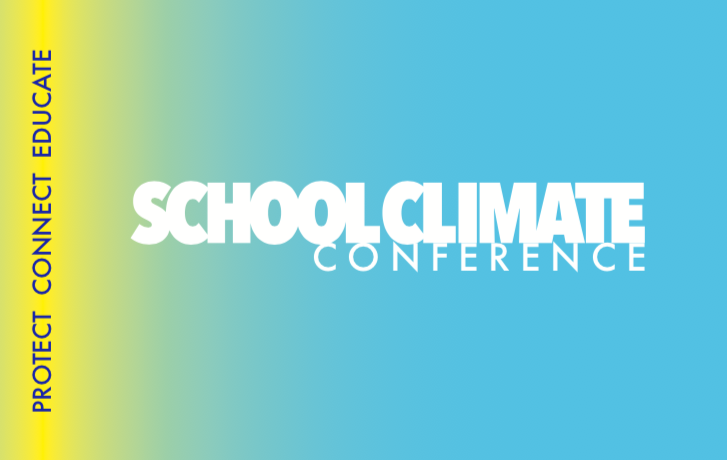 The School Climate Conference will feature (28) general workshops and up to (6) Early Bird Sponsored Workshops. Click on the below date and time to find the titles, summaries and presenters of each workshop. To print out the conference program, use the download option. *Workshops can change prior to conference. The Kern High School District (KHSD) is the largest 9-12 only high school district in California and one of the largest high-school-only districts in the nation. In 2014-2015 the district began a district-wide implementation of Positive Behavior Intervention and Supports that braids Cultural Responsiveness, Equity, Socio-Emotional Learning, Restorative Practices, and Mental Health. The session will feature the district and school site perspective during implementation and unpack the unique implementation strategies, methods of data collection, data integration, and data use in decision-making, the challenges and success, example artifacts, and the lessons-learned during the first three-four years of implementation. Description: #BeWell, a joint initiative with the Oregon Association of Student Councils, Providence Health St. Joseph, iHeartRadio, and #ICANHELP, looks at mental health and wellness for students. Learn about the #BeWell Resource Hub, a central online location to connect users with mental health and wellness resources. Walk out with free lessons and ideas and say #IWillHelp mental health, wellness and social media. We have a climate where we are experiencing an epidemic of Drug Abuse and Prescription Drug Abuse in our youth. Unfortunately, approximately 90% of the youth involve in the Juvenile System have or are abusing illicit and prescription drugs. This presentation offers awareness of the epidemic of drug abuse by youth in our communities as young as 10 years old. You will have the rare opportunity to hear from individual[s] that have life altering testimonials of their personal challenges with drug abuse as teens and consequences they have suffered because of those choices. In this interactive presentation, participants will explore how to conduct a meaningful planning process with stakeholder buy-in, develop a list of priorities for school improvement, put forth school/district wide initiatives and include these actions in the school site plan and District LCAP. Emerging brain research is leaning more towards the notion of relationship building and right brain epigenetic social experiences as the vector for high-risk youth development and optimal social-emotional adjustment. As restorative practitioners, it is critical to explore and understand how an impoverished psychic organization compromises students in experiencing and developing empathy and optimally moving towards healing harm. The information in this presentation will explore the importance of working under a right brain restorative framing, primarily when working with exceedingly defiant maladaptive embedded youth and how the use of data tracking is essential to build a restorative system. Current suspension and incarceration data are indicating that the level of recidivism is prevalent among individuals who could not fully process an incident or conflict. The same population is acquiring suspensions, expulsions or getting arrested for related offenses, which reveals the lack of insight obtained by our education and criminal justice systems. This session will demonstrate 10 strategies proven to strengthen relationships, grab attention, inspire, and build resilience in all ages and learning types. Participants will receive insights into teaching social and emotional life skills in ways all can understand, relate to, and remember. These strategies have helped over 2 million youth in 20,000 K-12 schools, mental health, and correctional organizations in the areas of academic success, dropout prevention, class management, and bullying prevention. 7:30 a.m - 8:15 a.m. It Takes A Village" Building relationships with Community Based Organizations to serve our nation's at promise youth. Sunburst Youth ChalleNGe Academy is offered by the Department of Defense and National Guard Bureau and is one of 40 programs in the country. The mission is to intervene and reclaim the lives of 16-18 year old at- risk high school students; to produce program graduates with the values, life skills, education & self discipline necessary to succeed as a productive citizen. Since its inception, even as a military based organization, we have learned that we cannot do this mission alone. Over the course of 10 years we have learned that it takes a village to truly provide a successful pathway for our youth. The power of relationship building has what led us to be one of the top ChalleNGe Academy in the country. In this session we will discuss the importance of building relationships with other CBOs and the results when a community is united. Session Summary: Learn how to revolutionize the culture and climate of your school through tried and proven ideas that focus on recognition for ALL stakeholders on your campus. Learn how the power of relationships and "making it matter" can completely transform the perception of your school from the inside out. Countless proven ideas will be shared to make every student and adult feel like a rock star! Resilience is something we’re all born with – from the homeless person on the street to the Harvard business grad. Most of us – including many of our schools’ struggling students – just haven’t learned how to access what’s already inside of them. In this presentation, participants will learn about the vital skills of resilience and the 4 keys to creating a resilient climate. This engaging presentation will empower you to deliver these skills to students of any background and learning style, enabling them to thrive not only in school, but in life. Teachers and Counselors on Special Assignment explain their journey of teaching and modeling SEL embedded content lessons and restorative practices with high school teachers. The Kern High School District is the largest 9-12 district in California with more than 39,000 students and adults working with those students. One of our main missions as tier 1 support staff is to show teachers with varying degrees of experience how implementing social emotional learning and restorative practices in their classrooms and at their sites can transform the culture in the classroom and school wide. Using real life examples, we will share how we continue to move this important work forward in our district. This session will address current vaping, juuling, alcohol, marijuana, and other current drug trends impacting our youth. The tobacco and e-cigarette companies continue to market directly to youth. Whether from media, peers, parents, teachers or law enforcement, adolescents are finding themselves in a cluster of mixed messages regarding vaping and marijuana use and its effects. Attendees will be educated on current marketing tactics; learn how to counter the messages, and create strategies to reduce these problems on your campus. This session will cover critical issues facing schools when dealing with bullying, cyberbullying, intimidation and harassment. Participants will be presented with an overview of how these behaviors can impact the social environment of the school, student attendance and academic performance. Research-based prevention and intervention approaches will be presented in a “nuts and bolts” format. The model presented will support schools that are implementing the Olweus Bullying Prevention Program, MTSS, PBIS and other bullying prevention and intervention approaches by building a strong systematic approach with solid classroom, whole school, counseling and administrative approaches. Data does not need to be a four-letter word. Dust off your school climate survey and put them to use. Come join us for a discussion on how you can use the California Healthy Kids Survey to improve school climate and student mental health. This is an interactive session in which we will walk you through statewide data, share resources, and discuss best practices on addressing school climate and mental health. Familiar with YPAR? You should be, it is evidence based to increase student engagement!. What is YPAR? Simply put, “Stop doing the research on the kids and let the kids do the research on themselves!” Come learn how schools across California are increasing Attendance Rates and Academic Achievement by equipping their youth leadership classes with a data gathering system that seeks to identify needed interventions to address school climate and student engagement. By utilizing online survey development and student led focus groups to gather Quantitative and Qualitative data, school administrators are finding an ongoing source of information to effectively implement MTSS/PBIS, School Safety Initiatives and Local Control Accountability Plans. How are schools already supporting the well-being of the whole person? What would schools look like if people actually flourished in them? Come learn about a framework and planning tool to help students and adults thrive in multiple areas, not solely on standardized tests. Participants will learn the effects of a group intervention designed to help girls learn and practice strategies that will help them tackle challenges faced in today’s world. This country has seen a significant amount of attention paid to the "Me, Too" movement and the effects of sexual harassment in the work place. S.H.E. addresses these stressors and risk factors teen girls experience and strives to strengthen protective factors and build resiliency. Using video as a medium to build positive school culture and climate through the voice of the student. Learn how to transform simple video announcements into a school culture building tool, and how to build leaders to tell those important messages. This interactive workshop will include hands on application to engage families and communities in serving adjudicated boys in their time post-incarceration. Participants will work through a case study simulation that connects cutting-edge research from the fields of equity pedagogy, restorative justice, and trauma informed care with solutions-based strategies for working collaboratively to develop best practices and comprehensive programming that addresses the effects of incarceration on boys, their families, and their communities.